Thanks to the $2.4 billion Jamestown just pocketed from Google, the investment firm is now eyeing “a number of emerging neighborhoods” in both the U.S. and Europe that are similar to New York’s Chelsea and Meatpacking District. Per the Journal’s report, Jamestown expects to announce “at least one, perhaps two” new Chelsea Market locations by the end of 2018. Jamestown didn’t just stumble into running one of the world’s most famous food halls by dumb luck; it has a solid track record when it comes to developing impressive buildings and retail spaces. It owns One Times Square (the building that does the New Year’s Eve ball drop), the rapidly gentrifying Industry City complex in Brooklyn, and Ghirardelli Square, the chocolatier’s former waterfront headquarters that’s now basically San Francisco’s Chelsea Market. The company clearly feels it’s onto something big with these massive, hulking food courts and work spaces — New York is now swimming in food halls, after all. (Brooklyn’s semi-remote Navy Yard, of all places, will soon have one of the city’s most sprawling.) Now, Jamestown seems to realize that other cities aren’t at New York’s saturation point. 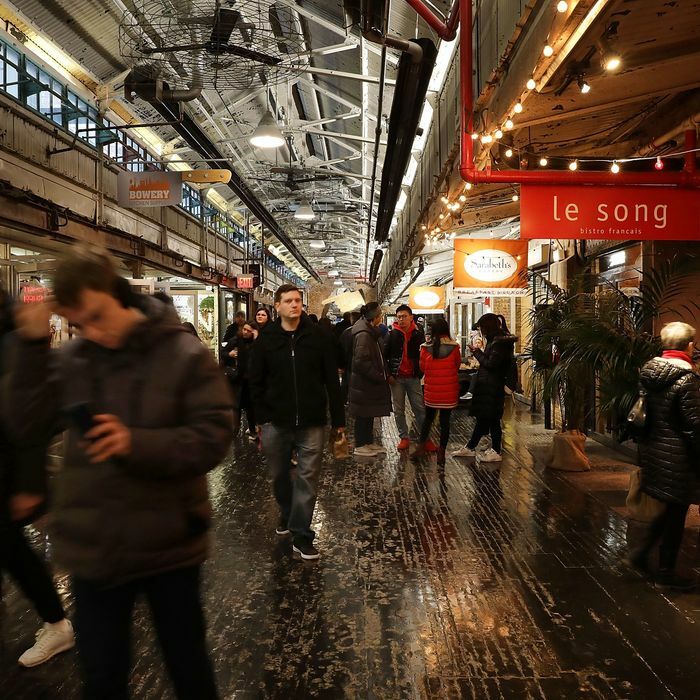 Meanwhile, here in New York, the Journal reports that Jamestown will continue managing the original Chelsea Market food hall as well, ensuring that it can control the brand’s main image however it sees fit.